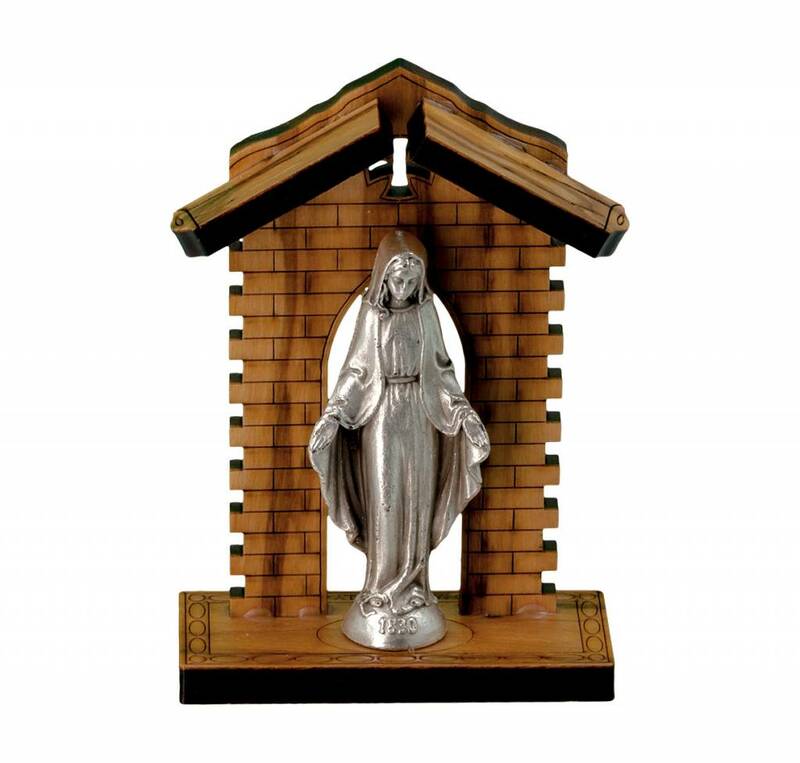 Sweet Smelling Authentic Olive Wood Hut With a Standing Statue of the Immaculate Conception. This image is also known as Our Lady of Grace or the Miraculous Medal. The hut is 3.75 inches tall. This piece has an intricate brick design. The image of Our Lady is of a pewter medal. Made in Italy. 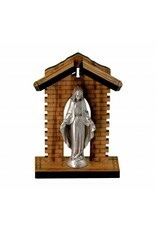 A great little gift for Christmas or for the office.